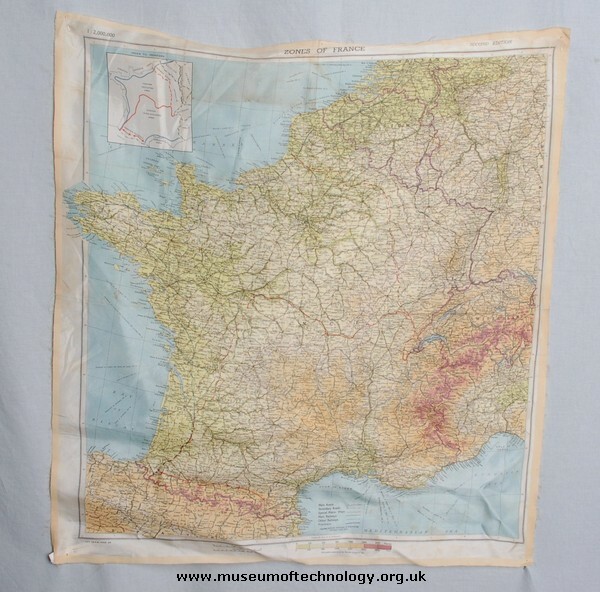 The printing of maps on silk was a WW2 idea and they are still made for various theatres of operations (I have cold war examples and have seen a very recent Afghanistan example). In the 3rd Anglo-Boer war 1899-1902 examples were made with instructions for various bits of equipment on them (e.g. rifles, as some of the Yeomanry had had negligible training). I also have a St.John's Ambulance triangular bandage with instructions printed on it of approx WW1 date. The original idea was civilian, I'm not sure when it started but Souvenir and Cigarette silks (precursors to Cig cards) were popular in the late 19thC. I have been asked this question many times, and the answer is, please don't try. They will be very fragile and made of pure silk, so the advice of a professional conservator is leave well alone.